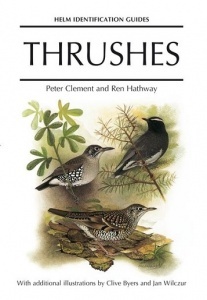 This book is devoted to the 162 species of thrush, one of the most widespread and well-known families of birds in the world. Identification and distribution are fully covered and the description makes reference to all recognised races. All species of Turdidae thrushes are described and illustrated together with supplementary line drawings depicting aspects of shape an plumage. It contains 540 portraits illustrating adults, immatures and most of the distinctive races.